Hello! What would you like to study in Spain? Spain, a country of an extraordinary beauty, is home to some of the most ancient universities in Europe and the cradle to one of the most important languages in the world: Spanish. Member of the European Union since 1986, Spain has become the most popular destination for students within the educational exchange program Erasmus and for summer study abroad programs. No matter you plan to study in Spain a Bachelor's (in Spanish Grado), Master's (in Spanish Máster) or PhD degree (in Spanish Doctorado), or enroll in a summer study abroad program, you will find programs to suit your personal preferences and academic background. With 49 public higher education institutions and 29 private institutions, Universidades, Spain offers a wide range of programs in all fields of study. International students are welcome to study in Spain. According to the latest statistics released by the National Ministry of Education), over 51,000 international students chose to study their degree in Spain or almost 25,000 students decided to study their master’s degree in the academic year 2014/15. While more up-to-date figures have not yet been published, the trend shows Spain is a preferred study destination in Europe. One of the main reasons for students to come study in Spain is its culture. World renowned painters such as Pablo Picasso, Salvador Dalí, Diego Velázquez, or Joaquín Sorolla; Nobel Prize Laureates such as Severo Ochoa, Juan Ramón Jiménez or Santiago Ramón y Cajal; or writers such as Miguel de Cervantes Saavedra, Lope de Vega, Gustavo Adolfo Bécquer, or Miguel de Unamuno, are all Spanish and have greatly contributed to the world’s literature, medicine, arts, technology and social fields. Another reason for students to study in Spain is the language. Spanish is the second language in the world in terms of native speakers population. It is also one of the most popular choices for many students around the world when studying a foreign language. While most programs in Spain are offered in Spanish, there is an increasing number of programs offered either in English or in bilingual mode, Spanish and English. 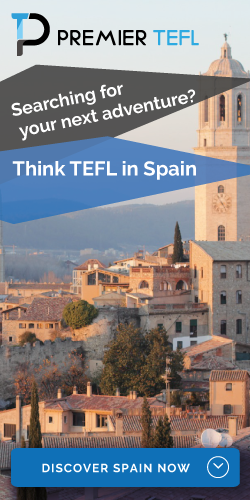 This represents a great opportunity for you to adjust to your student life in Spain and earn a degree while learning one of the most important languages in the world. Whether it is its vibrant lifestyle, its international population, or its amazing balance between modernity and history, Spain offers international students like you an experience of a lifetime! Early Childhood Education (Educación Infantil): from 0 to 6 years. Secondary Education (Educación Secundaria): from 12 to 16 years. Both Elementary and Secondary education are compulsory and free for all children in Spain. The Tertiary Education is provided at Universities and Vocational and Arts Colleges. Each academic year is worth 60 ECTS in accordance with the European Credit Transfer Scheme. As a result, a Bachelor’s Degree (Grado) is worth 240 ECTS (4 years of study); a Master’s Degree (Máster) is worth from 60 to 120 ECTS (1-2 years of study); PhDs (Doctorado) don’t have an ECTS range. Form for national visa in Spain. Processing fee (national visa): 60 EUR. Processing time: up to 1 month. Financial resources: 532.51 EUR /month. Tarjeta de Identidad de Extranjero (Foreign ID card). Processing fee (ID card): 15.76 EUR. If you are not an EU student and you plan to study in Spain for a period of time longer than 3 months, you have to apply for a national visa (Visa type D) for Spain. If your study period is over 6 months, you will also be required to apply for a "Tarjeta de estudiante extranjero" (Foreign student card). A filled-in application form for a national visa in Spain. A letter of acceptance from your higher education institution in Spain indicating that you have been admitted to full-time studies. Your passport, which must be valid for the entire time you will be staying in Spain. A bank statement or copy of your grant/scholarship stating you can support yourself financially throughout your time as a student in Spain. Medical certificate (for stays in Spain of over 6 months). Criminal record certificate (for stays in Spain of over 6 months). We recommend you contact the Spanish mission in your country to learn whether you need to submit additional documentation. The cost of the application is 60 EUR and the usual processing time is no longer than 1 month. If you don't receive any response after 1 month, your application is considered to have been rejected. In order for your student residence permit to be granted, you will need to prove you have, at least, 532.51 EUR per month fo support yourself financially while you study in Spain. Once you have been granted a national visa, you may enter Spain. Within 30 days of your arrival, and only if you plan to stay in Spain for a period of time longer than 6 months, you must apply for a "Tarjeta de estudiante extranjero" (Foreign student card) at your local Immigration Office in Spain. The filled-in application form for student residence permit in Spain called "Solicitud de Tarjeta de Identidad de Extranjero - TIE" (form EX 17). Three recent passport size photos. Proof of fee payment, which is the fee you have to pay for your application to be processed. The fee is 15.45 EUR. Sources: Ministry of Employment, Migrations and Social Security of Spain, Spanish National Police. EU students are allowed to enter and reside in Spain for up to 3 months without the need for a visa or permit. However, if you intend to study in Spain for a period of time longer than 3 months, you are required to apply for an "EU Citizen Residence Permit" at your local Immigration Office in Spain . The filled-in application form for an EU student residence permit in Spain called "Solicitud de Residencia Ciudadano de la UE" (form EX 18). Proof of fee payment, which is the fee you have to pay for your application to be processed. The fee is 21.44 EUR. Please, note that you will be required to prove you have sufficient funds to support yourself financially while you stay in Spain. At the moment, you are required to have 532.51 EUR per month. Sources: Ministerio de Empleo y Seguridad Social de España - Ministry of Employment and Social Security of Spain, Spanish National Police.